SEASONAL: Harbour Oaks is resort-style living positioned behind the guarded Harbourside gates of Bay Isles. 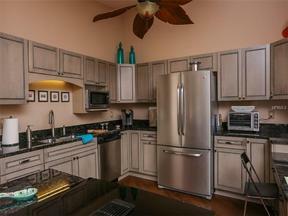 This updated 3 bedroom, 2 1/2 bath home overlooks the Longboat Key Club golf course! With over 2,500 sq. feet of living space, pool, private Beach Club access and sought after Southern Longboat address this is the perfect Winter getaway. One visit to this 3BD+Den/2.5BA golf course detached home will have you wanting more! It has been updated in all the newest tones, is fresh, and combined with natural lighting, is so inviting. Pavered drive and lush landscaping and walkway lead you into the foyer entry. The combined living/ dining area is warm and inviting with vaulted ceilings, tile flooring and new comfortable furnishings. The kitchen is designed for entertaining or just relaxing with a marvelous view of the 2nd green. The den is a cozy retreat for TV or for catching up on work or emails in the dinette area. The private and spacious master suite offers ensuite bath and has a seating area to relax and enjoy the views! The second bedroom features queen accommodations and the third bedroom offers twins. All have their own private entrance for a relaxing stay. Additional charges for pool heater use. This marvelous turnkey residence comes complete with gated security, Wifi, inside laundry, 2 car garage, private and community pool and easy access to shopping, dining and cultural arts from St. Armands Circle to downtown Sarasota. 60 DAY MINIMUM REQUIRED.